Colorado DUI – DWAI -DUID Penalties And Sentencing – Proving Prior Alcohol Driving Convictions In Court – can make the difference between a jail sentence and no jail at all. 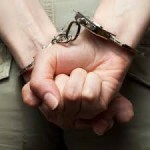 I am often asked by clients – how does the DA prove I have prior DUI – DWAI- or DUID convictions? What is the law in Colorado in this area? Colorado DUI – DWAI – DUID Penalties And Sentencing 42-4-1307 – CRS 42-4-1307(9) Previous convictions. [HMS – The next sections says the prior alcohol related driving offense can arise in Colorado at ANY time (old or new) in ANY other state, or in any United States territory]. ..of an act that, if committed within this state, would constitute the offense of DUI, DUI per se, DWAI, habitual user, vehicular homicide pursuant to section 18-3-106(1)(b), C.R.S., vehicular assault pursuant to section 18-3-205 (1)(b), C.R.S., aggravated driving with a revoked license pursuant to section 42-2-206(1)(b) (I) (A) or (1)(b) (I) (B), or driving while the person’s driver’s license was under restraint pursuant to section 42-2-138 (1)(d). [HMS – This next section sets up the standard of proof – the evidence – necessary to actually prove the prior conviction existed. The proof is prima facie – a basic case is made out when.. a matter appears to be evident from the facts. ..Wikipedia describes prima facie as denoting â€œevidence that – unless rebutted – would be sufficient to prove a particular proposition or factâ€]. This is not an area the Colorado Criminal Defense Lawyer should run from. If the client disputes a prior conviction – and out of state records – by definition are often poorly maintained and ambiguous – especially if they are 10 or more years old – raising constitutional issues of full faith and credit..the lawyer should make the State of Colorado PROVE IT. The impact of a SECOND or THIRD OR MORE Convictions is very serious..
(I) Imprisonment in the county jail for at least ten consecutive days but no more than one year; except that the court shall have discretion to employ the sentencing alternatives described in section 18-1.3-106, C.R.S. During the mandatory ten-day period of imprisonment, the person shall not be eligible for earned time or good time pursuant to section 17-26-109, C.R.S., or for trusty prisoner status pursuant to section 17-26-115, C.R.S. ; except that the person shall receive credit for any time that he or she served in custody for the violation prior to his or her conviction. (III) Participating in a court-ordered level II alcohol and drug driving safety education or treatment program, as described in section 42-4-1301.3(3) (c) (IV). (c) Notwithstanding the provisions of section 18-1.3-106(12), C.R.S., if, pursuant to paragraph (a) or (b) of this subsection (5), a court allows a person to participate in a program pursuant to section 18-1.3-106, C.R.S., the person shall not receive one day credit against his or her sentence for each day spent in such a program, as provided in said section 18-1.3-106(12), C.R.S. …. (a) A person who is convicted of DUI, DUI per se, or DWAI who, at the time of sentencing, has two or more prior convictions of DUI, DUI per se, DWAI, vehicular homicide pursuant to section 18-3-106 (1) (b), C.R.S., vehicular assault pursuant to section 18-3-205 (1) (b), C.R.S., aggravated driving with a revoked license pursuant to section 42-2-206 (1) (b) (I) (A) or (1) (b) (I) (B), or driving while the person’s driver’s license was under restraint pursuant to section 42-2-138 (1) (d) shall be punished by: (I) Imprisonment in the county jail for at least sixty consecutive days but no more than one year. Helping Clients To Make Informed Decisions In the Defense of Colorado Criminal Cases. Colorado Defense Lawyer H. Michael Steinberg provides solid criminal defenses for clients throughout the Front Range of Colorado – including the City and County courts of Adams County, Arapahoe County, City and County of Boulder, City and County of Broomfield, City and County of Denver, Douglas County, El Paso County – Colorado Springs, Gilpin County, Jefferson County, Larimer County, and Weld County,…. and all the other cities and counties of Colorado along the I-25 Corridor… on cases involving … Colorado DUI – DWAI – DUID Penalties And Sentencing 42-4-1307.